According to theFashionSpot’s diversity report, the Fall 2017 fashion season saw more women in their 50's and 60's working than any other season in recent memory. "In total, 21 models over age 50 walked the runways of New York, Paris, London and Milan, comprising 0.29 percent of all castings," says theFashionSpot. Additionally, the data proved that more women of colour walked the runway than ever before. However, before we pop the champagne, it must be noted that plus-size models made up just 0.43% of castings, and transgender women made up just 0.17% of all model castings. While researching some of the most popular models over the age of 50, the same names appeared time and time again - all of whom were Caucasian, cisgender, and slim. The fashion industry's steps to diversity may be small and slow but each one should be celebrated. We've found five models who are slaying the runway - and life - in their later years. 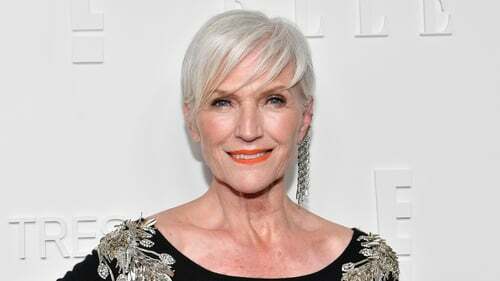 Canadian-born model Maye Musk started her fashion career in South Africa at the age of 15 but has only found major fame in recent years. As the mother of billionaire entrepreneur Elon Musk, a grandmother of ten, a model and a Registered Dietitian Nutritionist, Maye has a busy lifestyle. As well as running her own nutrition business for over 45-years, the 69-year-old model has signed with IMG Models and has appeared on the covers of Elle Canada and VOGUE Korea. Musk recently became the oldest brand ambassador for CoverGirl and has walked at New York Fashion Week. It was at the age of 60 that Lorna Brittain decided to take up modeling, but to anyone that knows her, this shouldn't come as a surprise. As a former Aer Lingus air hostess, the Dublin woman has lived an adventurous life. In 1972, she married her husband Derek, a pilot, and moved to Nigeria and Algeria - it was there that she had two of her sons, Graham and Mark. Lorna's third son Mark is David Brittain, an actor, and model living in London. 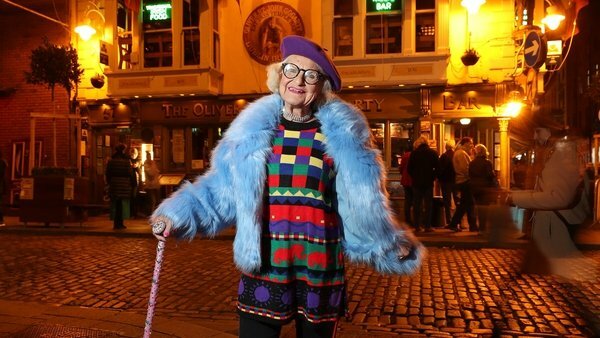 The Dublin woman has walked and posed for the likes of Joanne Hynes, A|wear, Richard Lewis, and Arnotts. While attending the SS18 fashion show at Arnotts, we spoke with fashion buyer Valerie O'Neill who explained why the store hired models of all ages including 73-year-old Lorna to walk the runway. Watch the video above. One day on the streets of Manhattan, Lyn Slater was waiting for a friend near the Lincoln Centre during New York Fashion Week. Without warning, reporters, tourists, and photographers began to take her photo, believing her to be part of the fashion industry. When her friend arrived at the spectacle, she said: "Oh, look at this. An accidental icon!" At 52-years-of-age Veronica Webb is a powerhouse; she became the first African-American model to land a major beauty contract when she signed with Revlon; she appeared in movies such as Malcolm X; she is beloved by creative directors including Karl Lagerfeld. While her career hit peak fame in the 1990's, Veronica returned to the catwalk in 2016 for Sophie Theallet and Yeezy. As well as modeling, Webb served as a member of the Eucerin Skin First Counsel and runs a lifestyle blog called webbonthefly where she writes about beauty, fashion, health and more. British model Cecilia Chancellor has worked with the best of them. Whether it be her fashion shoots across Europe in the 1990's with Mario Testino to her cover girl status with the likes of Vogue and Elle. In the 80's and 90's, she was the star of campaigns for Banana Republic, Helmut Lang, and Prada but it was in 2016 that Chancellor became the face of Miu Miu's Resort 2017 Campaign. The Dorset born model became a mother in 2001 and shot the cover of Vogue in 2002 with her baby in hand next to Naomi Campbell, Erin O’Connor, Jade Parfitt and Lizzy Jagger and others. To this day, the 51-year-old is favoured by photographers such as Peter Lindbergh and continues to rock the runway.